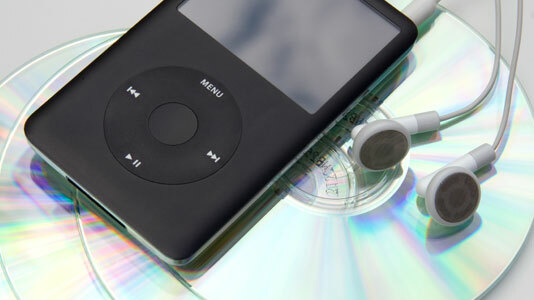 'Don't steal music' is the platitude that every iPod owner peels off their shiny new device; the one that reflects the scourge of media piracy and the collapse in fortunes of the record labels, scarcely out of the news since Napster hit college dorms almost fifteen years ago. Less well-known is that internet piracy is also a problem with something altogether more classic: sheet music. With a worldwide reputation as one of the leading independent British publishers of classical, educational and media music, Faber needs to be at the forefront of the illegal download debate. "One of the main problems that we face as a music publishing company is that there exist a number of extremely large, multi-million pound websites that give away sheet music, that is protected by copyright, for free," explains Sarah Holcroft, Director of Digital at Faber Music. "Not only illegal, the quality is poor – often containing wrong lyrics and chords." Faber Music had two crucial challenges affecting their business. Firstly, they needed to provide a much-needed platform through which third-party musicians could licence their arrangements via digital channels. As no such system existed, this innovation would remove the hassle associated with licensing for digital sheet music. Secondly, Faber needed to counter the dissemination of illegal sheet music via unlicensed websites by enabling top-quality, value-for-money, fully-licensed equivalents to flourish. Uncertain of how best to achieve this, Faber reached out to London South Bank University's Division of Computing and Informatics. A knowledge transfer partnership, or KTP, was the solution – government-funded programmes designed to help businesses improve their competitiveness and productivity through the knowledge, technology and skills available within UK universities. Every KTP has a full-time, dedicated and embedded 'Associate' who uses their skills to accelerate the project at hand. With an MSc in Business Information Technology and a BSc in Electronic Engineering, Riccardo Zanella was brought on-board to become Technical Manager. "The solution for Faber consisted of a central hub where third-party companies or composers can upload their digital musical content," explains Zanella. "This content is then 'skinned' onto a bespoke website for that company and enables each E-Partner to sell their music through Faber's technology. "These partners want to be able to sell their content but they do not have the capability, knowledge or technology to do so. Faber can now offer them that." Shushma Patel, Professor of Information Systems at LSBU has been the academic working with Zanella on this KTP. "The complex intellectual property aspects of this project have been overcome to create a fit-for-purpose platform. The feedback from the E-Partners has really given us a boost and set the path for further development." "Currently our competitors provide one-stop-shop systems," adds Holcroft. "They sell all digital sheet music through their own websites. Our project is the complete reverse of that and is partnering up with multiple sites all over Europe in order to filter right through to the niche corners of the market." The E-Partners system has provided Faber with a proprietary, refined e-commerce platform that enables the company to sell both physical and digital products online through multiple channels. The KTP has enabled an entirely new stream of revenue for digital sheet music, and Faber have already launched 7 E-Partner stores, with 40 more ready and waiting. "The project has gained external recognition from the public, our customers, our competitors and the industry," says Holcroft. "Faber is really pushing the boundaries when it comes to digital exploitation." Not only is this project going to create a big splash in the world of music publishing but it is also about trying to solve a very prominent social and political problem. "Whilst this KTP is creating significant revenue for ourselves it is also hugely benefitting our publishers who receive 50% of net receipts from every £1 we make. We hope this project will infiltrate the market with lots of very exciting, niche, top-quality legal stores who generate their own sheet music." Read more about KTPs at LSBU.